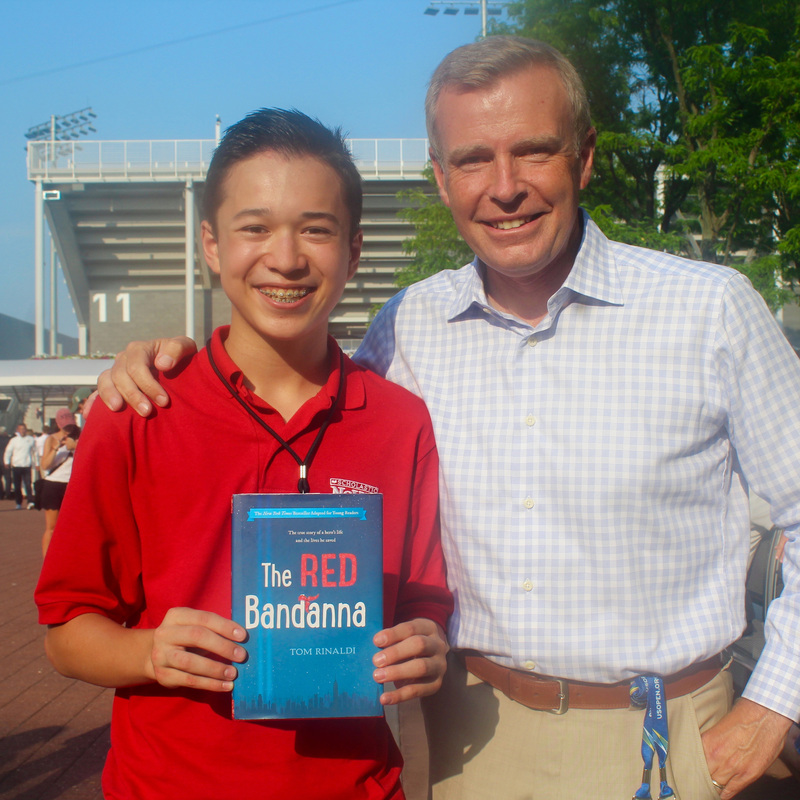 The Red Bandanna | Kid Reporters' Notebook | Scholastic Inc.
Maxwell asks ESPN reporter Tom Rinaldi about Welles Crowther, who was killed helping others at the World Trade Center on September 11, 2001. “He was a hero—humble, courageous, and true,” said ESPN reporter Tom Rinaldi about Welles Remy Crowther, a stock trader and volunteer firefighter who was killed in the terrorist attacks on September 11, 2001. Crowther is the subject of Rinaldi’s The Red Bandanna: a Life, a Choice, a Legacy (Penguin Press, 2016), as well as an adaptation of the book for kids (Viking Books for Young Readers, 2017). The story tells how Crowther was on the 104th floor of the South Tower of the World Trade Center, when it was struck by an airplane. The North Tower had already been hit. Instead of rushing downstairs to safety, Crowther led at least a dozen strangers to safety that fateful day. He even carried a woman down more than 20 flights of stairs, only to go back up to help others. Survivors did not know his name. But they remembered that he had worn a red bandanna. Rinaldi learned about Crowther’s story from a colleague, Drew Gallagher, who had been Crowther’s classmate at Boston College. From reporting to writing, Rinaldi spent 18 months on the project. He still keeps in touch with Crowther’s family and some of the people he interviewed for the book. In honor of Crowther, Rinaldi often carries a red bandanna in his pocket. Rinaldi lives in New Jersey with his wife, Dianne, and their children, Jack and Tessa. During my interview with him in New York City, he told me how much the attacks and stories like Crowther’s affected him.